Jase’s Fight began December 31, 2017. 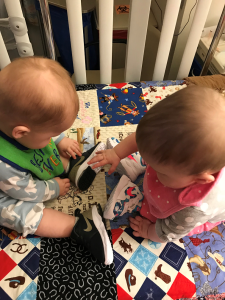 Violet, Jase’s twin sister lovingly (like every sister should) shared her cold with him and he developed a nasty cold and snotty nose. Violet’s cold lasted a couple of days before she was back to her normal self. Jase’s cold however held on longer and was more severe. Yet Jase had no fever and was still his laughing happy self. On January 2nd I returned to work coming off of maternity leave. I was anxious to leave the kids for the first time, especially with Jase having his first cold, but my mom was going to be watching them and would call if I needed to pick them up. 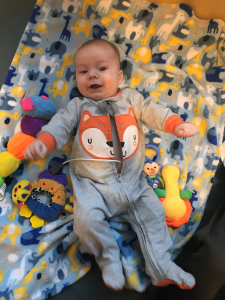 On the evening of January 4th Jase’s cold had became more serious and he was struggling with breathing. We called his pediatrician office and his doctor could hear his breathing through the phone. 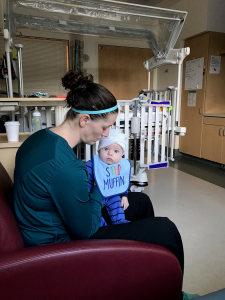 Given the Pediatrician’s and our mutual concern of RSV (Respiratory Syncytial Virus) we decided an ER visit was necessary. 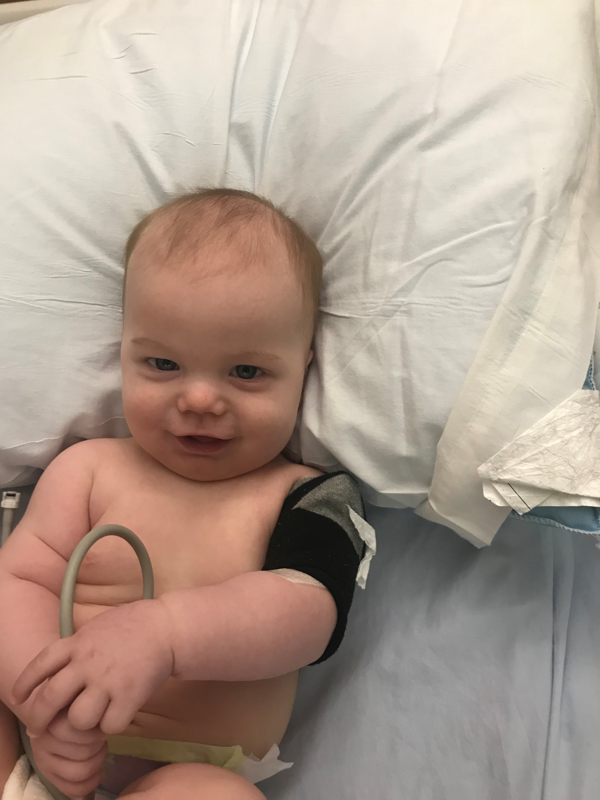 Once at the ER, Jase was quickly tested for both RSV and the flu, both of which were negative. 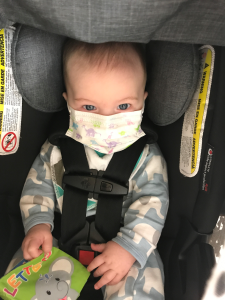 Feeling relieved we were ready to head home knowing he just had a bad cold. However, the ER doctor decided to take a chest x-ray just to be on the safe side and check for phenomena. At two days shy of 4 months, Jase handled the x-ray like a champ; I was a proud mom for sure! While we waited in our room for the x-ray results the nurse put Jase on oxygen because his oxygen level was dropping due to his congestion. After a short time his doctor returned wanting to do a second x-ray because they found an abnormality and were thinking he may have moved during the previous x-ray. Once the second x-ray was done, it was only a short time before the doctor returned saying they had found a large mass next to his left lung. We were told they had called in a pediatrician to take over. At this point my husband came into town with Violet so we could have our family together and they moved us from the ER to a hospital room for the remainder of the night. They were hoping to send Jase to Doernbecher Children’s Hospital that night, but it was full. The next morning Jase had a CT scan. After seeing the results the pediatrician decided that the mass was most likely what is called Neuroblastoma cancer. They had already called the PANDA unit to transport Jase to Doernbechers. 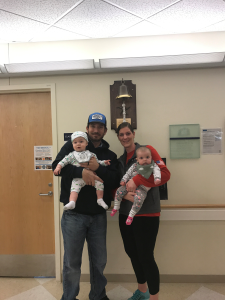 Upon arrival, Jase was placed in isolation because of his cold and we met his team of doctors and surgeons who reviewed his scans and blood work. On January 6th, the day Jase turned 4 months old, and after 14 hours of NPO (Nil Per Os – Latin for nothing through the mouth) Jase went in for a double procedure to collect a biopsy of the mass and a bone marrow sample. Jase went through the first half of the procedure just fine, but woke up in the middle of the bone marrow sample. His lungs clamped down and they had to partially tube him and up the meds to put him back to sleep. This first Doernbechers stay was for five days and was full of running many different tests. Upon discharge the Neuroblastoma diagnosis was confirmed and we knew we would be returning in a couple days for staging. Two days later we returned and learned that Jase had inoperable stage 2 cancer and would need chemo therapy. The original plan was to have Jase go through two rounds of chemo (first round would be three days of chemo and the second round would be one day of chemo) with the thought that the mass would shrink at least 50% and he would be finished with treatment, along with two blood draws a week and a bandage change. Luckily we could do one blood draw at MCMC and the other blood draw and bandage change at Doernbechers. 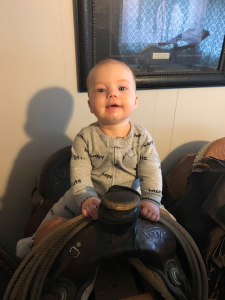 Jase handled the first round with minimal throwing up and was in pretty good spirits. We were pleasantly surprised with how well he did. Moving forward to his second treatment, we drove down the night before because it was snowing so hard and he had an early appointment. 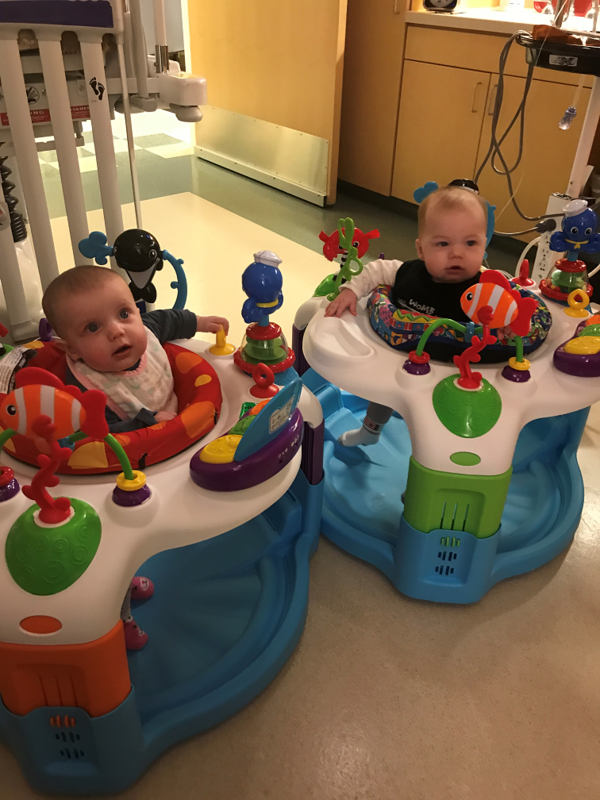 Unfortunately Jase’s mature white blood cell count (ANC) did not bounce back as anticipated, and they were unable to start his second round on-time. 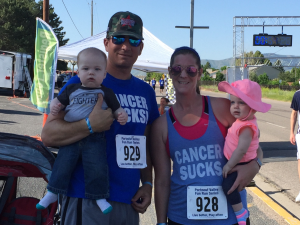 His chemo was postponed a week until his numbers climbed back into range. Jase handled his second round of chemo pretty well until day 10 when he became extremely lethargic. After speaking with his oncologist, we learned that his ANC counts had dropped dangerously low to 13, (normal is 1500 to 8000) and he needed extra shots of a stimulant to encourage cell growth. 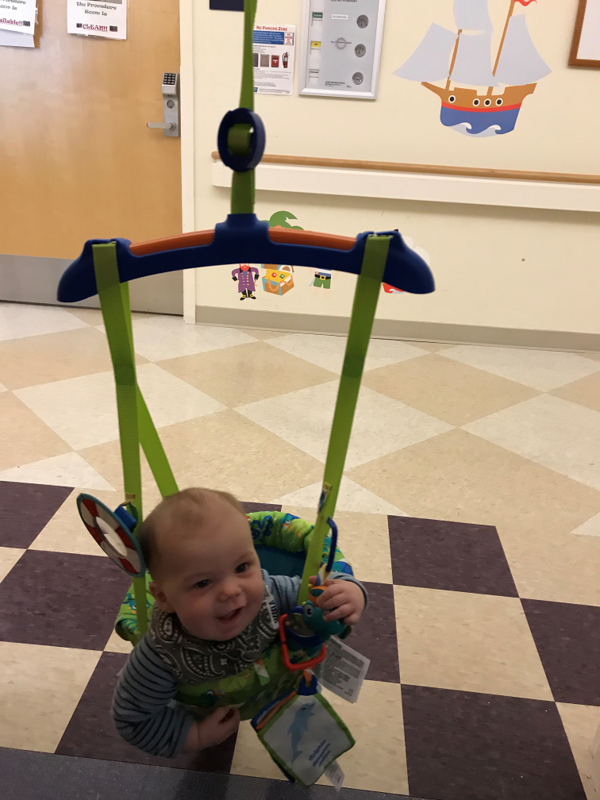 At the end of March we returned to Doernbechers to have a new CT scan and check the progress of his mass with the anticipation it had shrank enough that Jase could be finished with treatment. Unfortunately the mass did not change at all and Jase would require more chemo therapy. As devastated as we were, we were hopeful and comforted that our Oncologist had a plan to continue to fight the cancer. 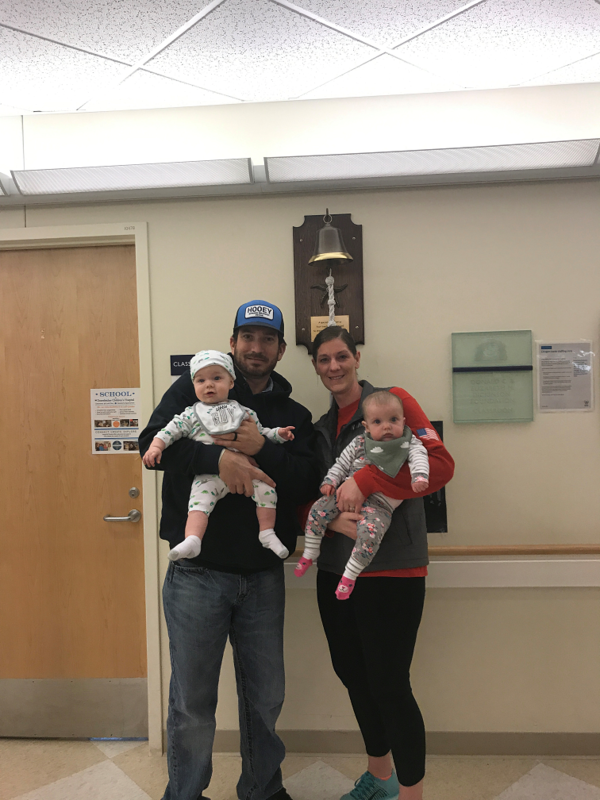 A few days later, Jase started his third round of chemo, with this treatment being more aggressive than the previous two. This time the chemo hit him hard, he lost his hair and was very ill for about two weeks after treatment. As awful as he felt, he was still our happy tough boy and loved to play with his sister and jump in his bouncer. We felt so fortunate that he was so young and did not understand what was happening. Jase would throw up, laugh, and go on about his day. 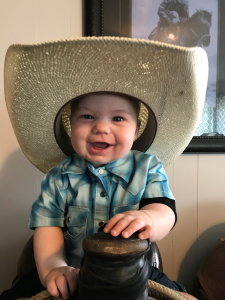 This chemo was hard on our little cowboy, but it was also the chemo that blasted the mass! The tumor shrank 68% and was showing no sign of active cancer!!!! 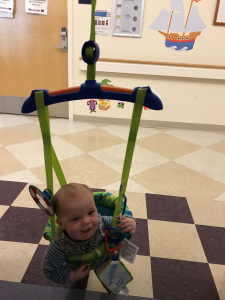 As of July 17th, his last scan showed no change in the mass, and he is considered in remission!!! Jase will continue to have CT scans every three months for the first year to make sure the cancer does not return. After a year, the hope is that the scans will be stretched to every 6 months and then eventually every year. Jase needs to go 5 years with no sign of the cancer returning to be considered cured. 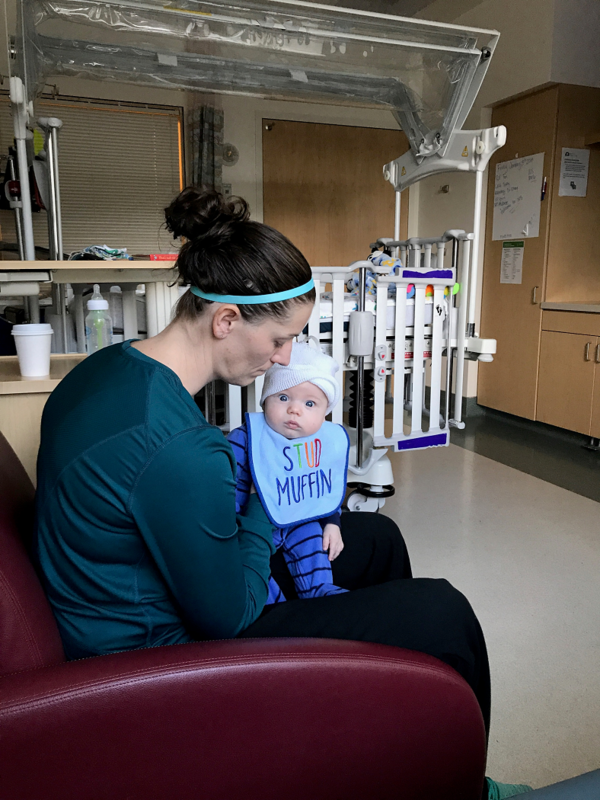 That day sitting in Mid-Columbia Medical Center waiting for PANDA to arrive to transport our precious little boy to Doernbechers was beyond our worst nightmare. Throughout all of Jase’s treatments we were blown away with the strength that came from such a small baby. His smile and laughter helped get us through the devastating diagnoses. Throughout Jase’s fight, our entire family was wrapped in our community arms! The out pouring of prayers, love and support was more than our family could have ever imagined. Our family is truly blessed! This entry was posted on Tuesday, August 21st, 2018 at 6:02 pm	and is filed under At Home. You can follow any responses to this entry through the RSS 2.0 feed. You can leave a response, or trackback from your own site.